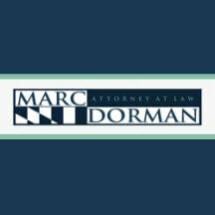 Marc S. Dorman has provided Maryland residents with skilled legal representation for over 25 years. We pride ourselves on providing effective legal services to all of our clients in the areas of personal injury, auto accident, job injury, slip and fall, dog bite, nursing home negligence, criminal, including DUI/DWI. To learn more about how we can help you in your time of need, please take some time to browse through our website. If you have any questions, please don't hesitate to contact us.